This is a quiz that contains NCLEX review questions for osteoporosis. As a nurse providing care to a patient with osteoporosis, it is important to know the signs and symptoms, pathophysiology, nursing management, patient education, and treatment for this condition. Don’t forget to watch the osteoporosis lecture before taking this quiz. 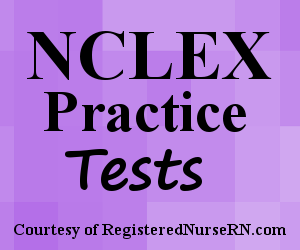 This quiz will test your nursing knowledge on osteoporosis in preparation for the NCLEX exam. A. Provide protection and support for the organs. B. Give the body shape. C. Secrete the hormone calcitonin and store blood cells. D. Store calcium and phosphorus. A. the body to increase the calcium levels by stimulating the osteoclast activity. B. the body to decrease the calcium levels by inhibiting osteoclast activity. C. the body to increase the calcium levels by stimulating osteoblast activity. D. the body to decrease the calcium levels by inhibiting osteoblast activity. A. A 50 year old female whose last menstrual period was 7 years ago. B. A 45 year old male patient who has been taking glucocorticoids for the last 6 months. C. A 30 year old male who drinks alcohol occasionally and has a BMI of 28. D. A 35 year old female who has a history of seizures and takes Dilantin regularly. A. on an empty stomach with a full glass of water and keep the patient upright for 30 minutes. B. right after breakfast and to lay the patient flat (as tolerated) for 30 minutes. C. with food but to avoid giving this medication with dairy products. D. on an empty stomach with a full glass of juice or milk. 1. Bones play an important role in the body. Which of the following in NOT a function performed by the bones? The answer is C. Bones (specifically bone marrow) are responsible for red blood cell, platelet, and white blood cell production. In addition, it stores blood cells and minerals, such as calcium and phosphorous. Calcitonin is secreted by the thyroid gland NOT the bones. However, calcitonin causes osteoclast activity to be inhibited, but is not secreted by the bone. 2. True or False: Osteoporosis is a disease process that results in the thinning of the matrix of pore-like structures within the compact bone. The answer is FALSE: Osteoporosis is a disease process that results in the thinning of the matrix of pore-like structures within the SPONGY (not compact) bone. The compact bone is the outside part of the bone, and the spongy bone is found inside the compact bone. It contains a matrix of pore-like components such as protein and minerals…this starts to thin and becomes more porous in osteoporosis. 3. ________ are found within the spongy bone and are responsible for building up the bone matrix. While ________, which are also found in the spongy bone, breakdown the bone matrix. The answer is D. OsteoBLASTS are found within the spongy bone and are responsible for building up the bone matrix, while osteoCLASTS, which are also found in the spongy bone as well, breakdown the bone matrix. The answer is A. When the calcium levels are low this stimulates the parathyroid gland to secrete PTH, which stimulates osteoCLAST activity. Remember osteoCLASTS break down the bone matrix within the spongy bone. This will cause calcium to enter the blood stream, hence increasing calcium levels. 5. Which patient below is NOT at risk for osteoporosis? The answer is: C. All these patients are at risk for osteoporosis except the patient in option C. Remember the risk factors include: older age (45+), being a woman, Caucasian or Asian, post-menopause, glucocorticoids therapy, anticonvulsants (Dilantin), REGULAR alcohol usage, smoking, sedentary lifestyle, BMI <19, family history. Option C is not at risk. 6. Your patient is scheduled for a DEXA scan this morning. The patient is having heartburn and requests a PRN medication to help with relief. Which medications can the patient NOT have at this time? The answer is A. Before a DEXA scan, which is a bone density test, the patient should not take any type of calcium supplements (calcium carbonate (TUMs) or vitamins containing calcium. The answers are A, D, and E. Option B is wrong because there is normally a loss of 2-3 inches in height compared to the patient’s height in young adulthood. Option C is wrong because the bone site will not present as warm or swollen (most patients are asymptomatic). 8. During discharge teaching to a patient at risk for developing osteoporosis, you discuss the types of exercise the patient should perform. Which type of exercise is not the best to perform to prevent osteoporosis? The answer is C. Low-impact exercises are not as beneficial in building bone mass as compared to weight-bearing exercises such as tennis, lifting weights, and hiking etc. The patient should perform exercises that put stress on the bones against gravity, which will help increase bone strength and build muscle. 9. You’re caring for a patient who has a health history of severe osteoporosis. On assessment you note the patient has severe kyphosis of the upper back. Which nursing diagnosis takes priority for this patient’s care? The answer is D. When assessing the options you want to select the option that is a priority for this patient and risk for falls is the priority. The patient is at risk for falls due to severe kyphosis, which is common in severe osteoporosis (also called Dowager’s Hump). This deformity of the spine limits mobility and increases the chances of falls In addition, it is important the nurse takes precautions in preventing falls because the patient will most likely experience a fracture due to severe osteoporosis. 11. A patient is taking Calcitonin for osteoporosis. The patient should be monitored for? The answer is C. Calcitonin is made from salmon calcitonin and acts like the hormone calcitonin which is produced naturally by the thyroid gland. It decreases osteoclast activity, which can decrease calcium levels. Therefore, the patient is at risk HYPOcalcemia.